Paris has been a staple in nearly every global travelling list. This capital of France has been attracting crowds since centuries for its enchanting cityscapes, the blend of modern and antique architecture, fine dining and everything else that this city can offer. This is the land of aristocracy, romance, gourmet food, classic cinema and charming beauties. If you have always wanted to explore this city and always been dissuaded by the same nibbling thought of staggering expenses, you are in for a pleasant surprise. You can easily take a trip to Paris on a budget. Wait no more and pack your bags to experience the memory of a lifetime in the heart of Paris. Whenever we vacation it is always a top priority to find out a comfortable yet inexpensive staying option as accommodation is a stumbling block for us as it incurs most of the expenses in a holiday trip. Other than the lodging expenses, travelling costs, dining and for the brave hearts, a bit of shopping must be included in the Paris trip itinerary. However, with so many wishes in your heart, do not lose hope as limited funds can never become an impediment in exploring the charms of Paris. You can soak yourself in the splendor and magnificence of Paris on a budget. All you would require is curiosity and spontaneity to explore this Parisian heaven. To take trips around all the travel destinations in the city, you can opt for the cheap yet efficient metro services. 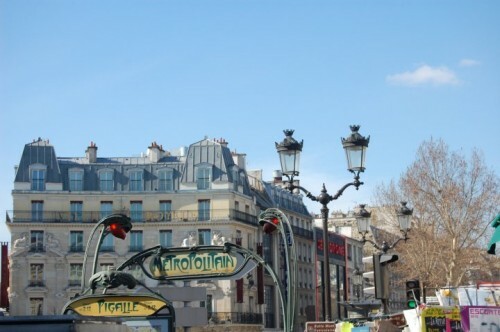 When you plan squeeze too many sightseeing trips in a single day, there is no better option than the comfortable and regular metro services around Paris. However, if you want to experience the sights and exclusive atmosphere of the city, take a leisurely walk along the lines of River Seine. It will give you a perfect opportunity to drench in the grandeur and the sublime beauty of Paris. And for the pennywise traveler, it is free of cost! No Paris on a budget trip is complete without this River Seine ritual. Even if you are on a limited fund mode, do not make the mistake of giving a miss to Eiffel Tower and Louvre. These two landmarks are synonymous with Paris. Instead of taking any guided tour which might cost a bit, you can help yourself with a map of Paris. Planning smart is the secret behind a successful trip to Paris on a budget. This entry was posted in Basic Travel Tips for Travelers to Paris and tagged Eiffel Tower, Louvre, Paris on a budget, River Seine, trip to Paris. Bookmark the permalink.